I was happily surfing the Web reading the Google News Top Stories when I saw a headline that said "No public viewing at Neverland, but Michael Jackson may get laid". Say what? I had to do a double-take. Then I couldn't help but laugh at how funny this headline was. No public viewing of Michael Jackson getting laid? Bummer, I'm sure that could have been a pay-per-view event. It's The 40 50 Year Old Virgin movie come to life! Course that might be a problem unless it's some sick necrophilia action going on. 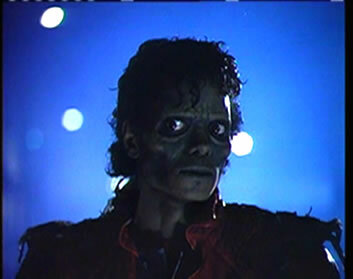 Then again, Michael Jackson did play the undead / zombie in Thriller. 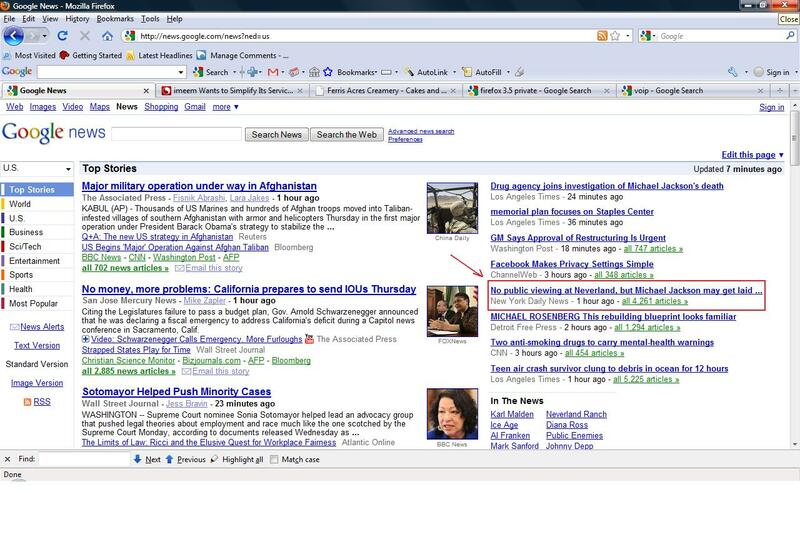 Ok, we'll let Michael Jackson Rest in Peace, though I'm sure he too would have laughed at this Google News headline. Check out a screenshot of it below. Click for Full-screen. Look on the right-hand side. I drew an arrow as well as a box around it. The article in question can be read here. The full article headline is "No public viewing at Neverland, but Michael Jackson may get laid out at Staples Center". Obviously, the Googlebot abbreviated in a very bad spot. Perhaps a human editor might be in order, Google? Lastly, since Google News changes the Top Stories home page often, you too can view this news story (in its funny abbreviated form) by clicking this Google News search link. It's abbreviated there too. I was happily surfing the Web reading the Google News Top Stories when I saw a headline that said \"No public viewing at Neverland, but Michael Jackson may get laid\". Say what? I had to do a double-take. Then I couldn't help but laugh at how funny this headline was. Check out a screenshot of it below. Click for Full-screen. Look on the right-hand side. I drew an arrow as well as a box around it. The article in question can be read here. The full article headline is \"No public viewing at Neverland, but Michael Jackson may get laid out at Staples Center\". Obviously, the Googlebot abbreviated in a very bad spot. Perhaps a human editor might be in order, Google?